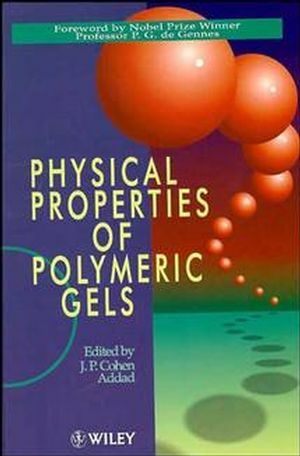 J. P. Cohen Addad is the author of Physical Properties of Polymeric Gels, published by Wiley. Semi-Dilute Polymer Solutions (J. Joanny). Properties of Polyelectrolyte Gels (U. Schroder W. Oppermann). NMR and Statistical Structures of Gels (J. Cohen Addad). Sol-Gel Transition (M. Adam D. Lairez). Structure of Gels as Investigated by Means of Static ScatteringTechniques (J. Bastide S. Candau).